Cinco Jotas Acorn-fed 100% Ibérico Shoulder Ham in individually-sliced 40 g packets. 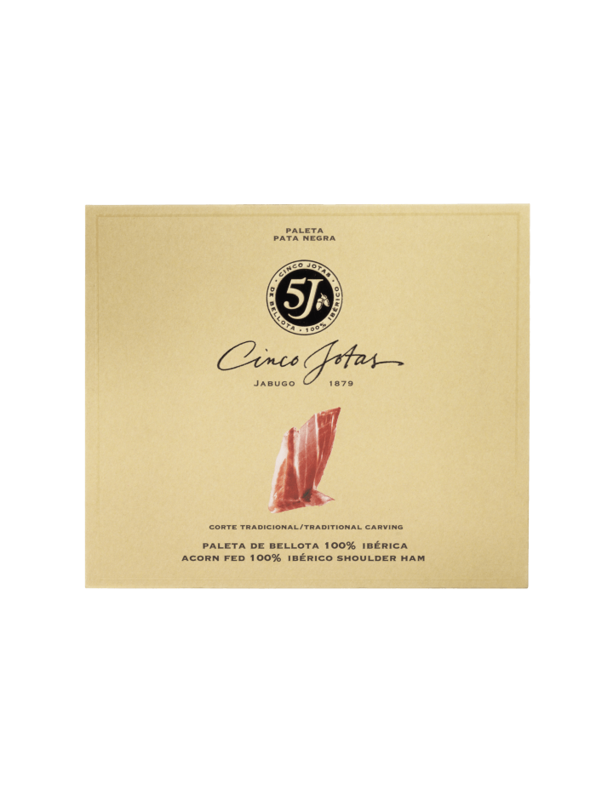 Cinco Jotas Acorn-fed 100% Ibérico Shoulder Ham, sliced to perfection in individual 40 g packets. This cut of meat, the paleta in Spanish, has a highly aromatic flavour and a tendency to be adored by all who give it try. Shoulder ham will surely be an essential element of your cuisine and stand out as the star of any culinary show.